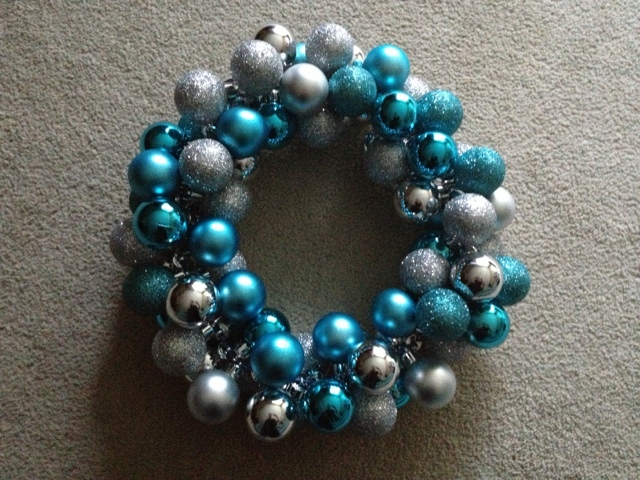 This year I decided to make an ornament wreath to hang on our front door. I had seen ideas on how to make ornament garlands on Pinterest and my friend Katja was making an ornament wreath so I thought I would follow her lead. I didn't want it to be too big, so I bought three packets of small ornaments. There were 20 ornaments in each package. 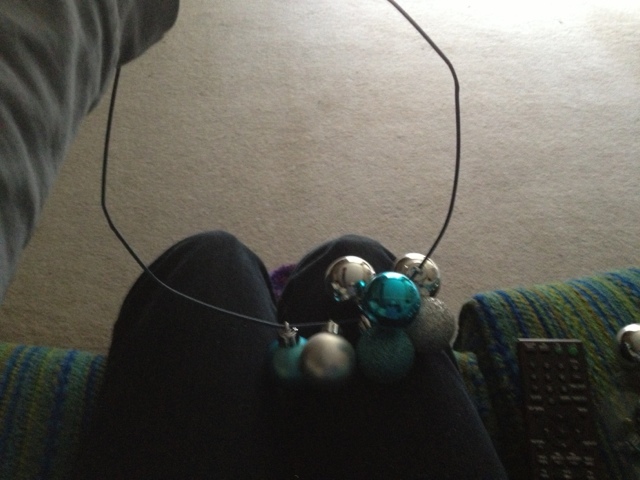 I got two that were mostly blue with some silver and one that was all different silvers. I ended up having to go back for another package of blue. 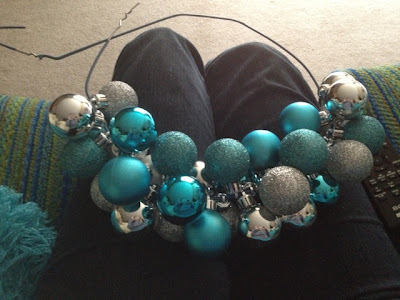 In a not-so-random order, I strung on the ornaments. It just kind of fills itself out. I wonder if it would fill out more if I had used some larger ornaments as well as small. I will save that for another project. 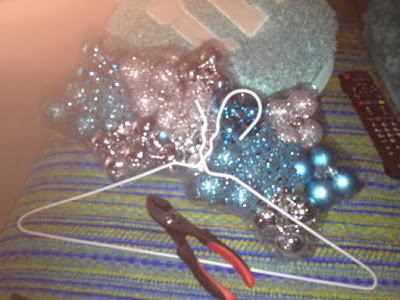 I twisted (as best I could) the ends of the hanger together once it was in a nice circle. 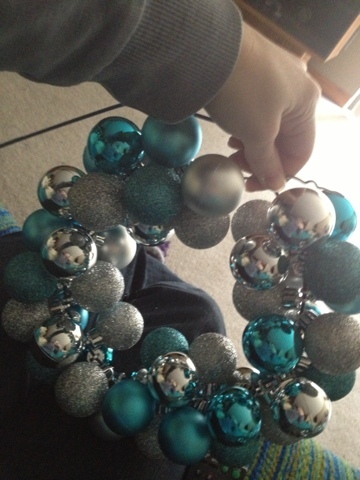 I tied a ribbon to the top to hang it by and voila! I thought about trimming it with a little ribbon or something, but it didn't look quite right so I left it alone.